According to reports, Manchester United are set to unveil Everton manager David Moyes, as their new manager by Thursday evening. 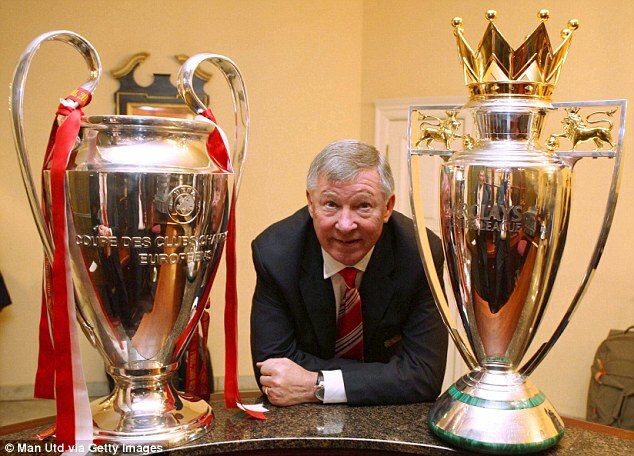 Sir Alex Ferguson announced on Thursday morning that his 27-year tenure at Old Trafford would end with retirement after the final game of the season - at West Brom on May 19. The DAILYMAIL reports that the United hierarchy have their man and will officially announce the decision on who replaces Sir Alex Ferguson once personal terms have been agreed. And that man will not be Jose Mourinho, despite his talks with Chelsea reportedly stalling this week. United's board members - most notably Sir Bobby Charlton - are believed to have been attracted to Moyes due to his longevity at Everton and his commitment to building teams. It is understood that Ferguson had planned to stand down for a while but was hoping to delay an announcement until the weekend. Moyes is believed to earn £4million a year at Everton - making him the only Barclays Premier League manager to receive more than any of his players. His contract runs out in the summer and he can expect to see himself climb up the pay scale considerably with a move to the champions. Jose Mourinho was believed to be in the running to succeed Ferguson, who has won 38 tophies including 13 Premier League titles and two European Cups in his time at Old Trafford, but United's directors appear to have decided against the Portuguese. 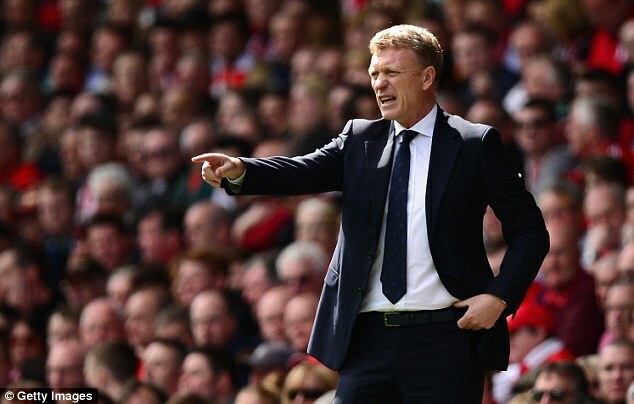 Moyes, 50, has previously said that he wanted to wait until the end of this campaign before deciding whether to extend his time at Goodison into a 12th year. 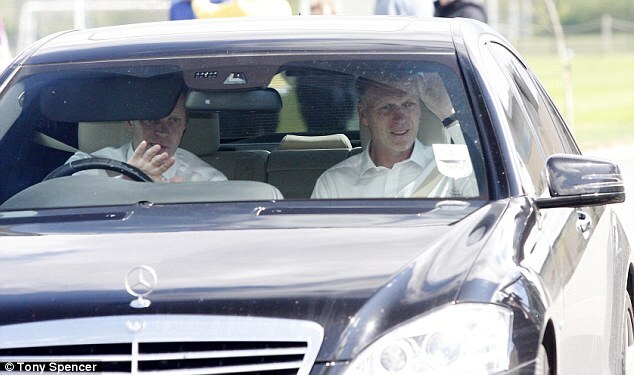 He will be happy to work with fellow Scot Ferguson, who has taken a position on United's board of directors. 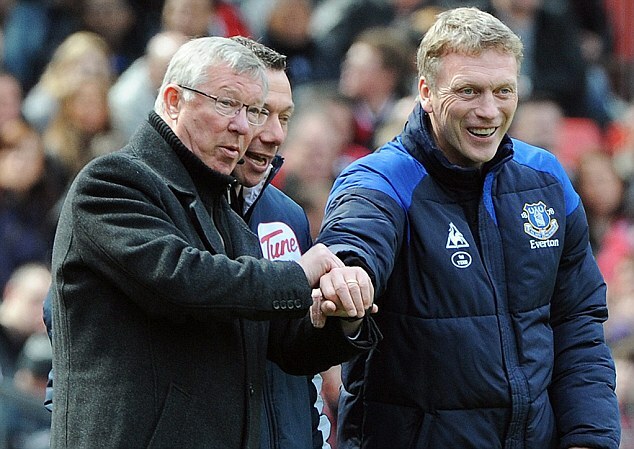 Moyes will also be an attractive proposition to United because of his consistency and loyalty to Everton during the last decade. His focus on bringing through youth talent is also a huge selling point for the club that selected at least one player who has come through the academy system for more than 1,000 consecutive games. Sir Bobby Charlton spoke about Mourinho previously, expressing discomfort about the idea of him replacing Ferguson. However Gill did say that the next man would need to possess 'requisite football experience in terms of domestic and European experience', which could have counted against Moyes, He has limited experience in Europe, mostly coming in the Europa League (formerly the UEFA Cup). However, it seems those reservations will not affect the decision to appoint him.